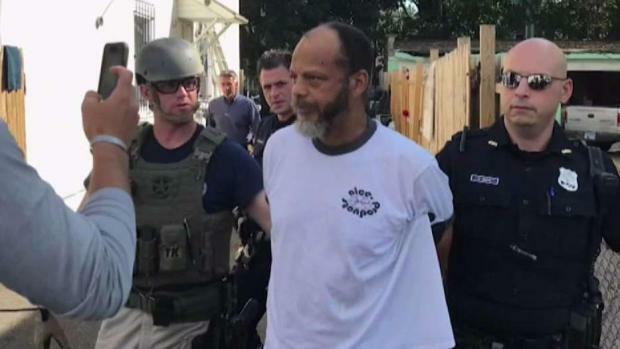 A notorious violent fugitive suspected in two New York City murders has been captured after 16 years. Sarah Wallace speaks with the family of one of the victims, the ex-girlfriend of her suspected killer. A murder suspect deemed one of U.S. 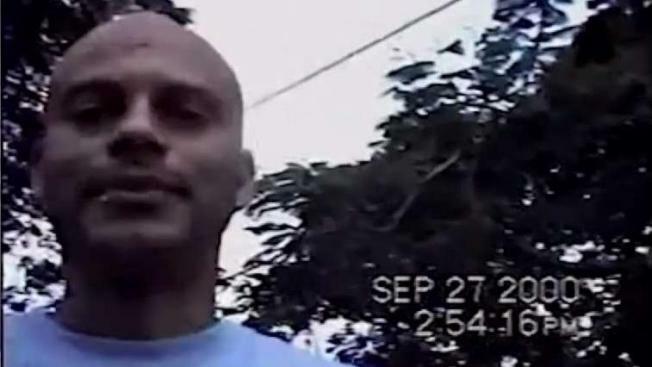 Marshals' 15 most wanted fugitives has been captured in Connecticut, 16 years after allegedly killing his sister and an ex-girlfriend in New York City, authorities say. Andre Neverson, 54, of Trinidad and Tobago, was arrested by U.S. Marshals and Bridgeport police on Ogden Street Tuesday afternoon after they learned he was hiding in a house there, officials said. He was living with a woman there, according to law enforcement sources, and may have been hiding in the neighborhood for a few years. Neverson allegedly shot his sister in the head and stomach in Brooklyn on July 8, 2002, killing her; the next day, he abducted ex-girlfriend Donna Davis, and she was found dead with a wound to the head two days later, according to authorities. He was on parole for attempted murder and other crimes at the time, officials said. Several months later, on Nov. 6, 2002, Neverson allegedly went into the home of yet another ex-girlfriend to try to visit his daughter, but he ran off when the woman's brother walked in unexpectedly, authorities said. A murder suspect deemed one of U.S. Marshals' 15 most wanted fugitives has been captured in Connecticut, 16 years after allegedly killing his sister and an ex-girlfriend in NYC, authorities say. Michael George reports. The U.S. Marshals added him to its "15 Most Wanted" fugitives list in February 2004. Ed Murray, who retired from the NYPD in 2014, spent 14 years tracking Everson through the U.S. and abroad. Police had plenty of pictures and videos but just couldn't get him -- until Tuesday. Murray, who has stayed in touch with active fugitive task force officers on the case, said, "I'm still numb and elated by everything that has happened." Donna Davis was living with her parents in East Flatbush when she murdered. On Wednesday, her father told News 4 he'd never given up hope that Neverson would be caught. "It is a wonderful gift the NYPD has given me on my 90th birthday," said Clyde Davis. Davis said if given the chance, he would tell the charming ex-con who wooed, then allegedly killed, his daughter that "he is a monster in human form." Donna's mother died in February but her family says they finally have a sense of peace. 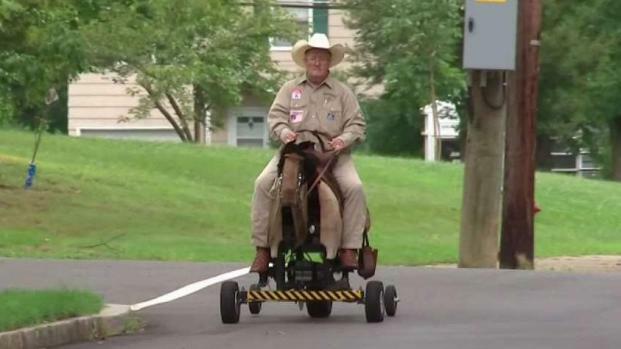 The so-called "Crazy Cowboy" of Cranford has dedicated himself to helping children with special needs but lately he's been going viral for this mechanical pony that's been putting some "giddyup" in the town of Cranford. Andrew Siff reports. "We finally got him," said cousin Dale DeGale. Neverson is expected to be transferred back to New York City. Marc Santia contributed to this report.